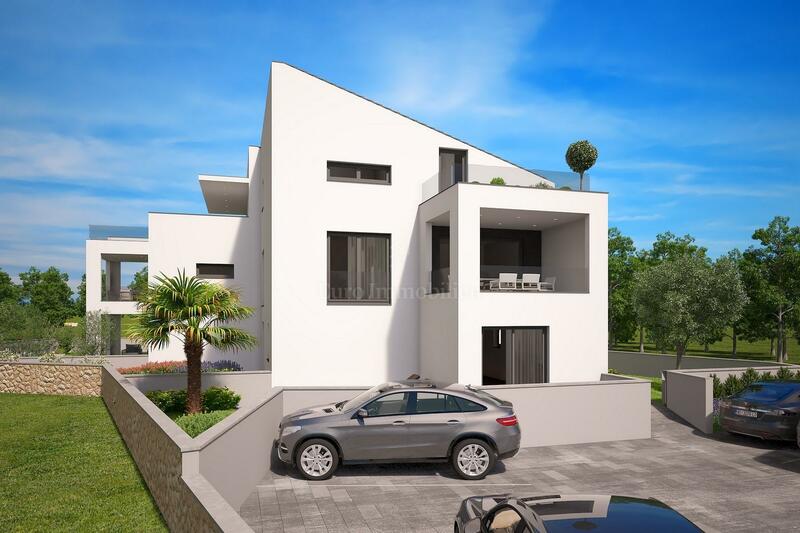 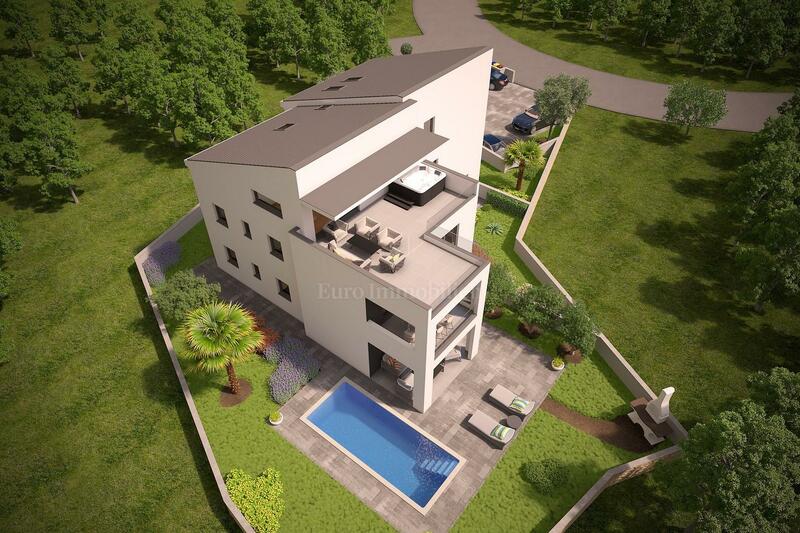 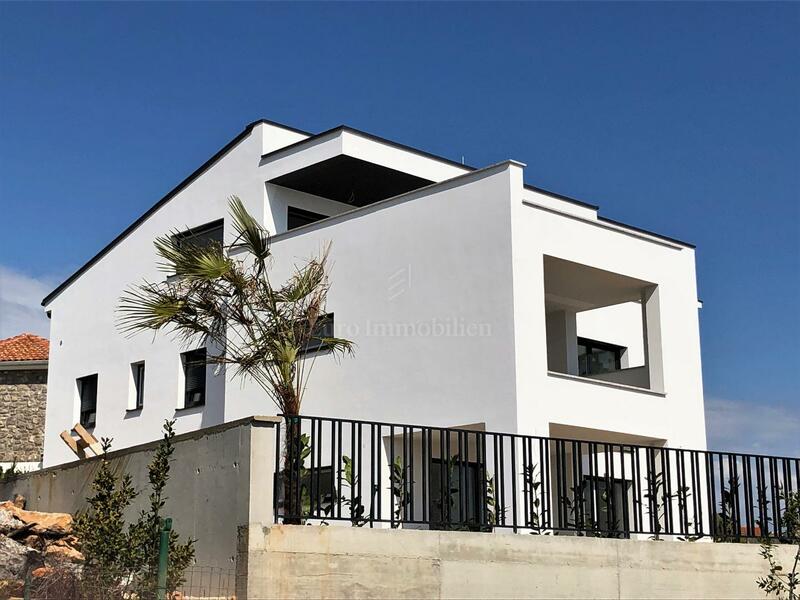 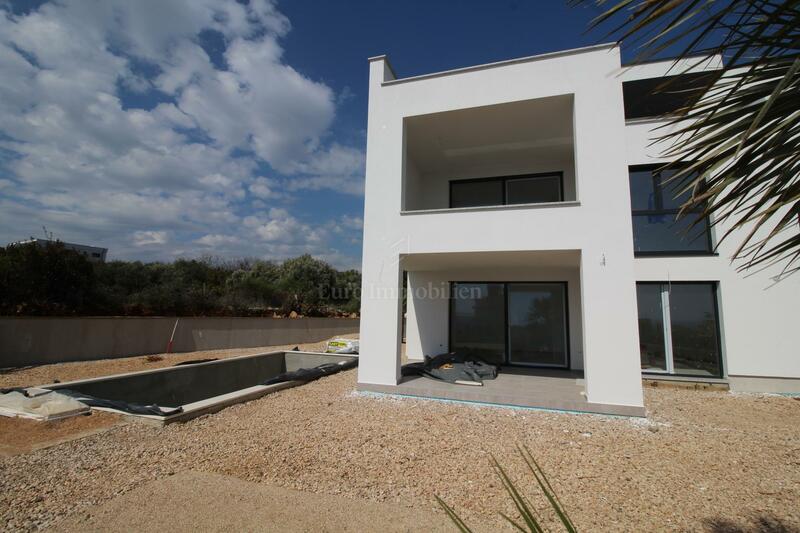 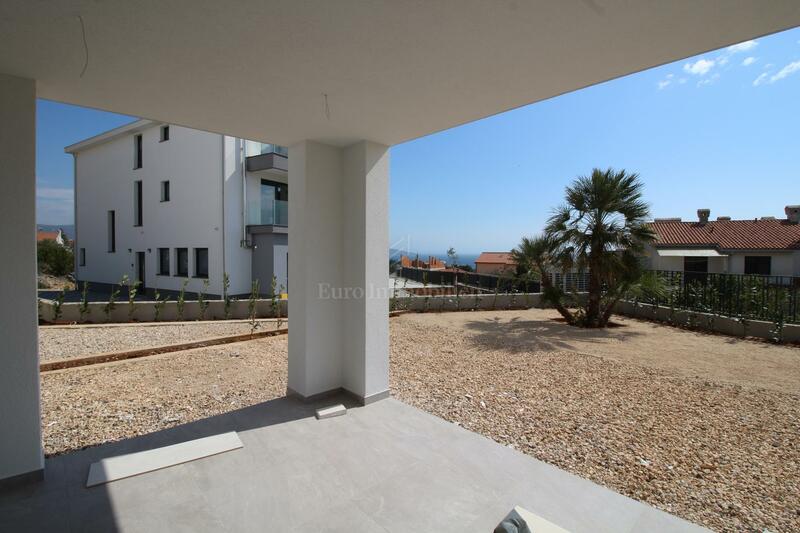 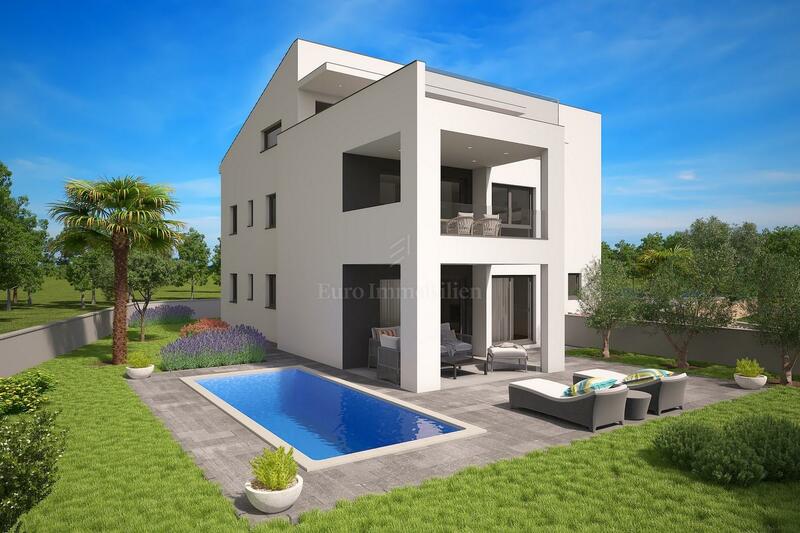 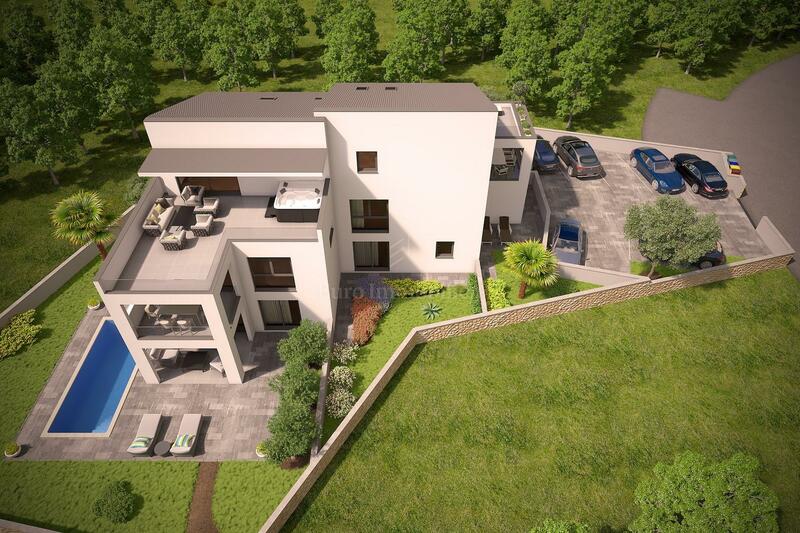 Apartment on the ground floor of a modern new building on a beautiful location in the town of Krk. 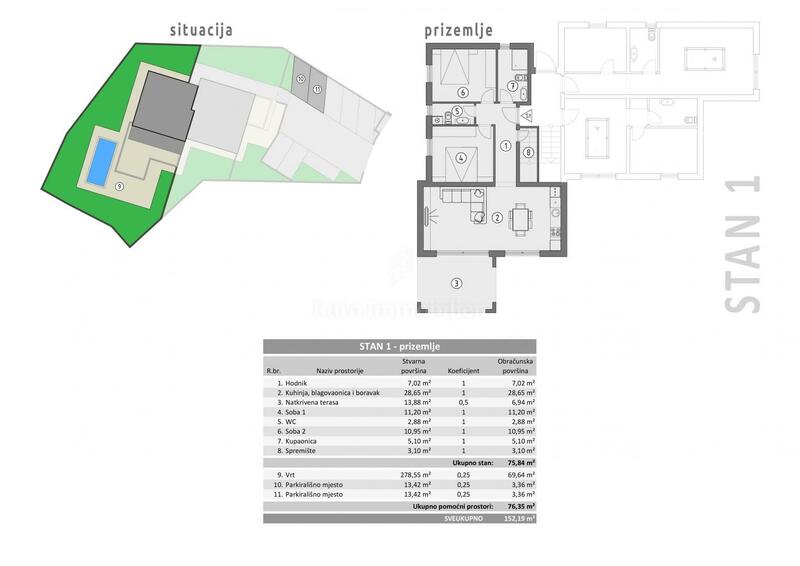 Apartment of 75.84 m2 consists of two bedrooms, living room with kitchen and dining room, bathroom, toilet, hallway, storeroom and covered terrace. 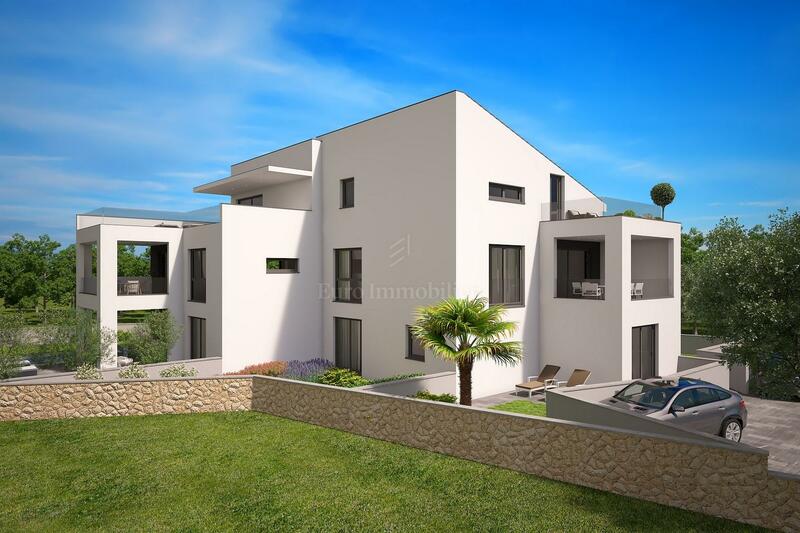 It has a beautifully landscaped garden of 276 m2 with swimming pool and two parking spaces. 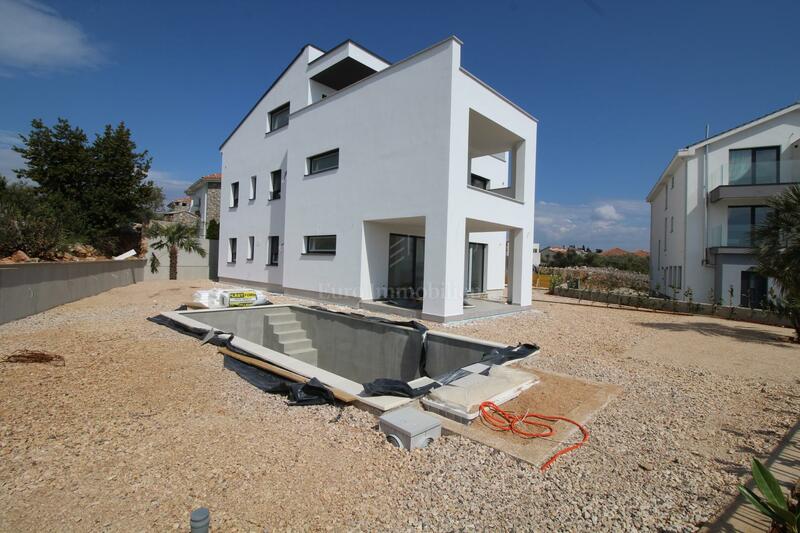 Quality construction, underfloor heating (partly), air conditioning. 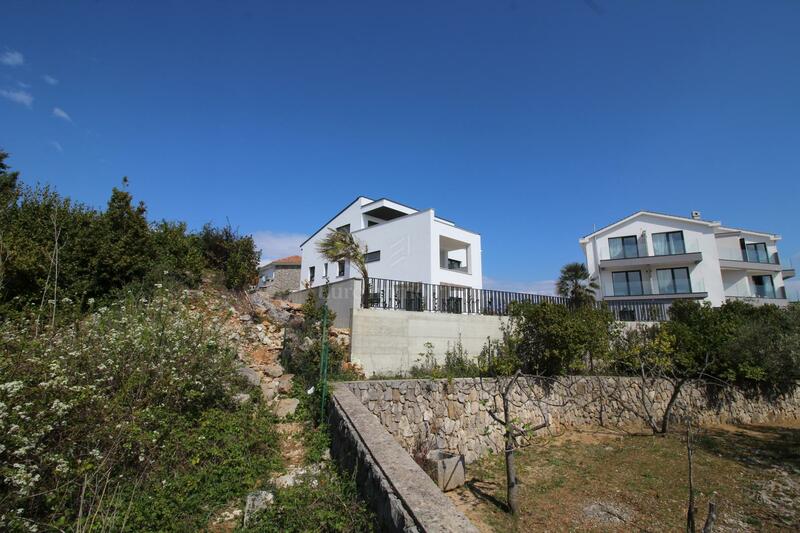 Beautiful location with sea view, cca 500 m from the beach!